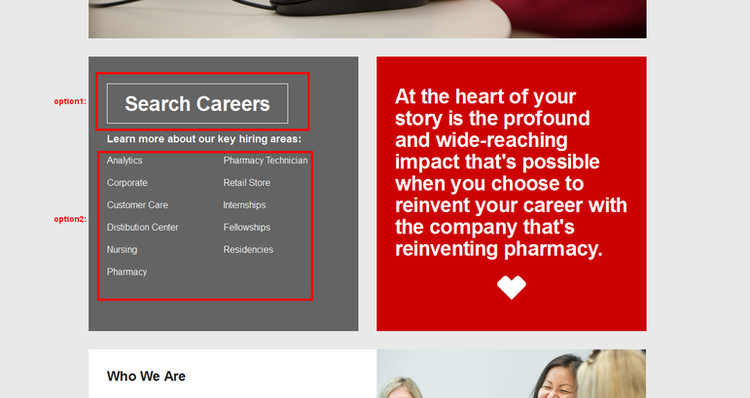 Go to cvs.com/careers and scroll down until you reach the part we marked in red boxes. There are two options offered for you to search jobs, first you can use search engine, or you can do a narrow search in job categories. We will continue on the option1. 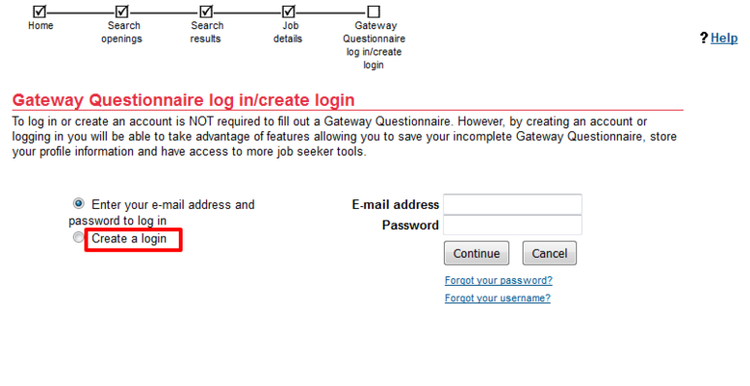 This page provides more choices for you to lock your job for your preference. Type your job title or other keywords to move on. All the matched results will be listed, pick one to continue. 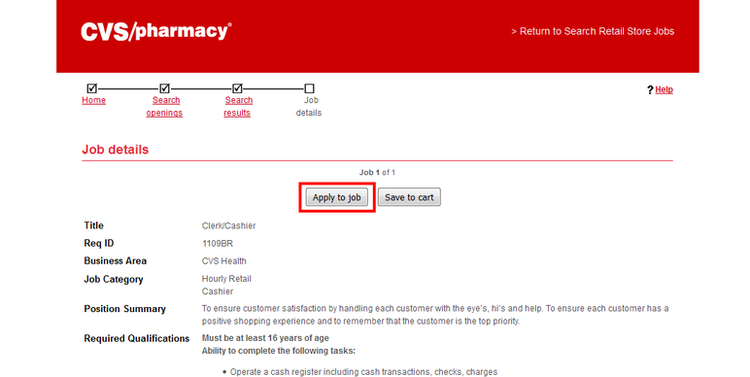 CVS allows applicant to apply for more than one position at the same time. After reading the job description and responsibilties, click to apply for the job if you are ready. If you are a returning user, sign up to continue. If this is the first time to apply on CVS’s site, please take few minutes to register. You will need this information to access your account in the future. The site will give you an instruction before you start your application. Then is the current employee verification. Do the choice to continue. 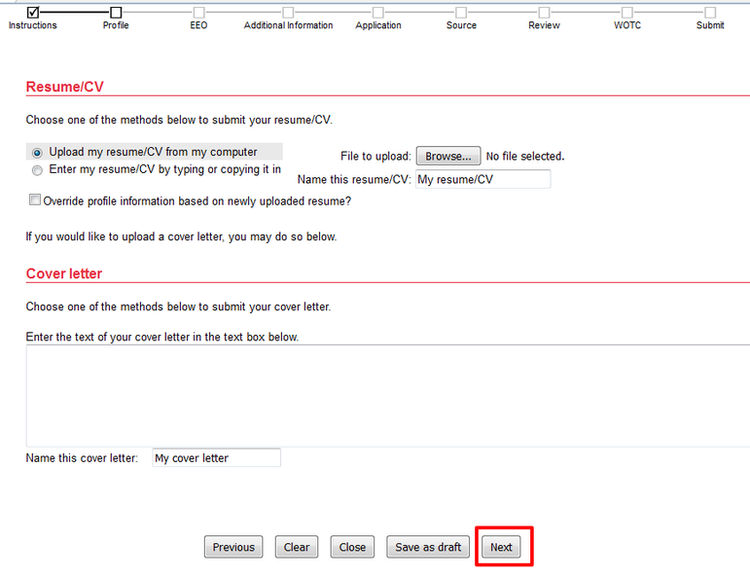 You can choose a way to upload your resume, either browse one in your computer or cut and paste one is OK. Click Next to move on. Here you need to fill your contact information to continue. The information is important when you future boss want to contact you. So make sure that you put everything right. After this all the steps left can be check in the process bar. Finish them to complete your application. Click cvs.com/careers to apply for CVS jobs online.